I can’t quite remember where this was. But judging by the fact that there are five of us in this photo I think it was during one of our Dovedale Walks. 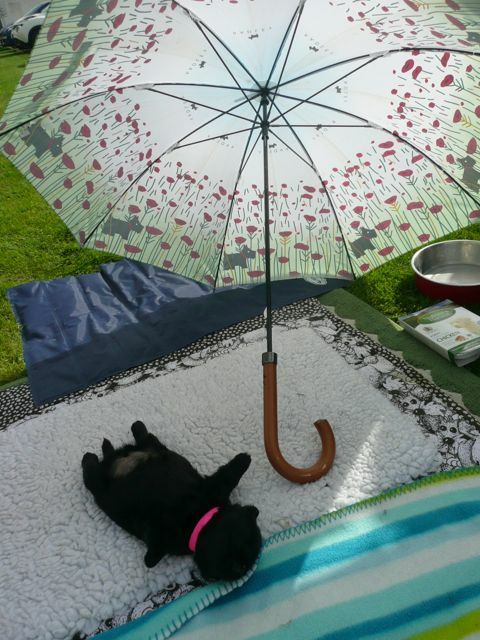 I bet, given the chance, we’d have drunk that duck pond dry! That kind of looks like the Thames we’ve been seeing on the news. BOL! The whole country is practically waterlogged. Thankfully, we live in the “Midlands” (which is the middle of the country) and so we’re not too badly affected. But it’s still far too muddy, and the drinking puddles are a little too dirty, even for my liking! Look at you all, looking very cute and quite a handful ! And the ducks just took it sitting down? None of you guys are after the ducks? They must have been decoys. 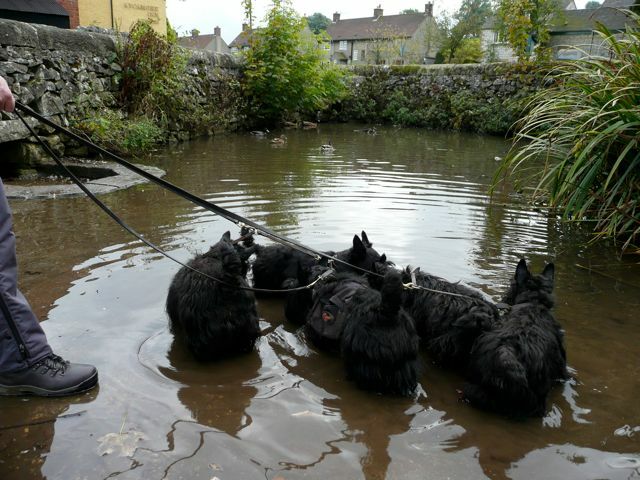 Oh My, what a pond full of Scotties, sorry about all your ponds being over full and mud holes. That pic gives Dad the giggles, just thinking about your pack! And I see you Bobby with you backside to the camera with the tote sack.